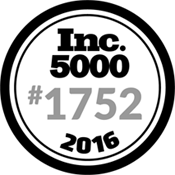 MaxBotix Inc., proudly announces that we made the Inc. 5000 list of the fastest–growing private companies in America for the second time! Moving up from #3616 to #1752 due in large part to our astounding sales growth of 213%. When ranking by state on the Inc. 5000, we have been ranked #22 for Top Minnesota Companies, moving up from last years ranking of #76. Our industry position for Top Manufacturing number increased from #98 in 2015, to #33 in 2016. It is an honor to be recognized for our accomplishments. Our growth over the past years is testament to our vision and continuous improvement. This kind of accomplishment is truly worth celebrating. For our loyal customers who have helped us achieve this milestone again this year, we want to thank you for making us one of the fastest growing companies in America and a 2016 honoree on the Inc. 5000 list. Our quality, competitive pricing, and high volume production of ultrasonic sensors enables our continuous growth which makes MaxBotix Inc., a top manufacturing company. Our quality products coupled with increasing demand has supported our steady growth since the founding of the company. MaxBotix Inc., continues to be a company with a strong foundation of ethics, manufacturing process control, and customer service. Our phenomenal growth is exemplified by making both the 2015 and 2016 Inc. 5000 lists. We initially established our sensors as the sensors of first choice in the hobby and education markets. While we continue to support the hobbyist market, a variety of OEMs choose to integrate our sensors into new and proven applications as we deliver the solutions at competitive pricing. 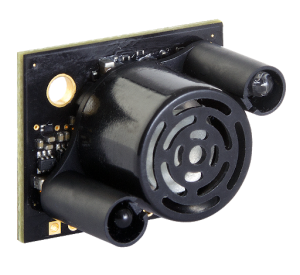 To help support our growing markets, we now offer hundreds of easy-to-use ultrasonic distance sensors across 20 product lines. At MaxBotix Inc., we make ordering any of our sensors easy through a user-friendly online store, and by letting customers purchase from any of our distributors worldwide. Feel free to examine our site and see the values we practice at Maxbotix Inc. In order to qualify for the Inc. 5000 list there are guidelines. Your company must have generated revenue by March 31st, 2012 by the amount of at least $100,000 and at least $2 million in 2015. Your company has to be privately held, for profit, based in the U.S., and independent. Inc. 5000 honoree companies are individually profiled on Inc.com. The rankings of the fastest growing companies are ranked by Industry, Metro-area, Revenue, and number of employees. Inc. Magazine is recognizing MaxBotix Inc., and we in turn want to recognize you, our customers. Please email and let us know the different projects that you have done and are doing, using our sensors so we can post them on FaceBook. Thank you for your support! MaxBotix Inc., is proud to announce that we have made the Inc. 5000 list of the fastest–growing private companies in America! This achievement places us in select company. Honorees, over the years, include companies such as Microsoft, Timberland, Vizio, Intuit, Chobani, Oracle, and Zappos.com; and we are proud to be to be included in the selection. This kind of accomplishment is truly worth celebrating. We have been invited to attend the 34th Annual Inc. 5000 Conference and Gala which will be held October 21–23, 2015 at the JW Marriott Grande Lakes in Orlando. We want to thank all of our loyal customers who have helped us achieve this milestone. We also want to showcase our Company Profile which highlights our values, culture, company and product history, and our overall successes.